Good old Miso Soup. It’s a meal that’s delicious, nutritious and quick to make and can satisfy anyone at home. The kids and most of all the adults I know enjoy it too. It’s usually not the main star of a meal during Japanese take out night; and you most likely only had it served to you because it came with your lunch special or bento box . When my husband was doing his all Vegan diet at one point, I tried hard creating meals without meat, that was filling, tasty and something that I would happily indulge in. This fit my quest for all of the above. Let’s just say I made this dish a lot! 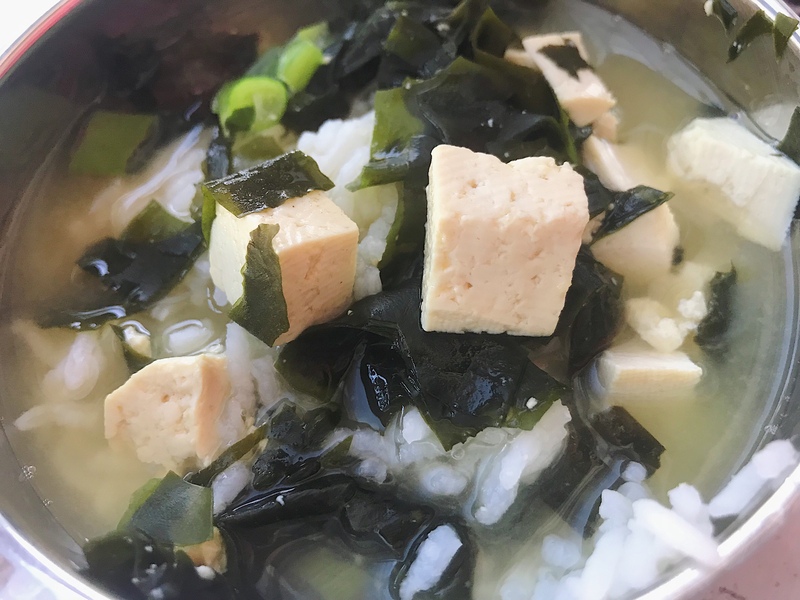 The first time, I saw a container of Miso Soup Paste at Hmart, I thought, “Oh, Miso Soup. Just add hot water, the seaweed, tofu and scallions.” I followed the instructions on the container, but always felt something was missing. I tried, red Miso, white Miso and mixed Miso. They were all fine, but didn’t taste like the ones that you get at a restaurant. This makes enough for our family of 5, plus enough for all of us for a meal the next day I make most of my meals that way. 1- Boil 8-10 cups of water in stock pot. 2- Add in dashi and miso paste and mix well. 3-Add in seaweed and diced tofu and cook on medium low for about 5-10 minutes. 5- Serve as it is, it with white rice for a satisfying, yummy and filling meal. Takes no more than 30 minutes to make. 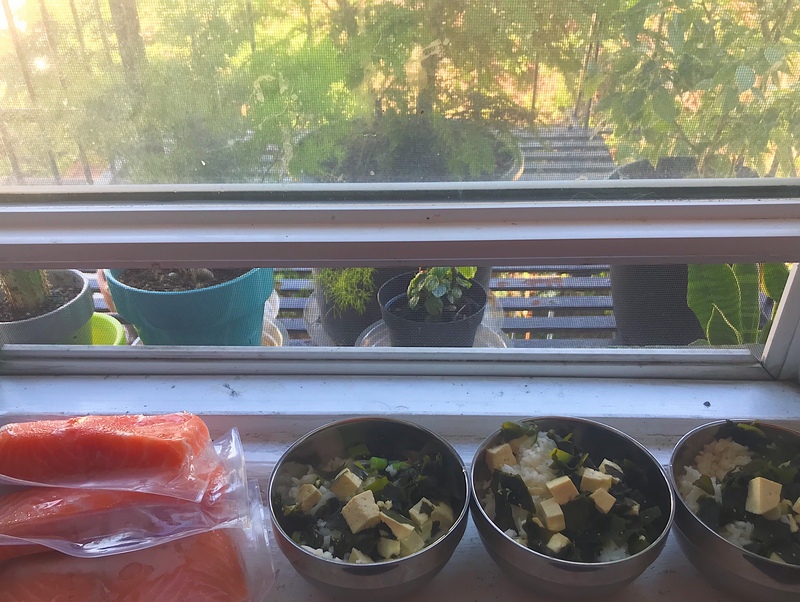 4.15.19–I cracked two eggs into the boiling Miso Soup and let it solidify a little and it was divine! 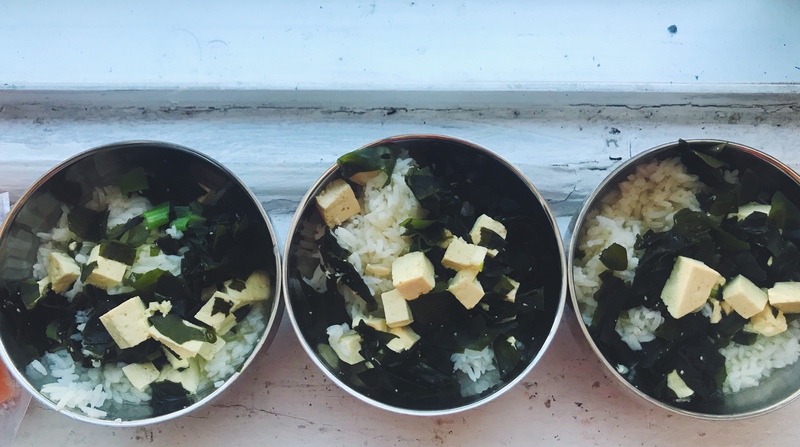 Have you ever made Miso Soup from scratch before? What was your experience like? 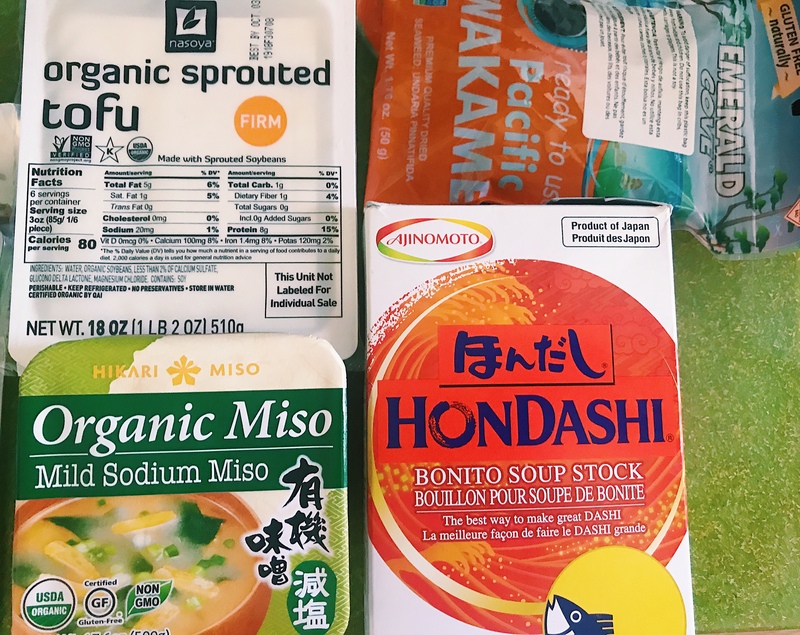 Any other new tips or tricks you want to share about how you make your Miso Soup? It’d be amazing if someone with experience making Japanese cuisine, to share their insights on this! 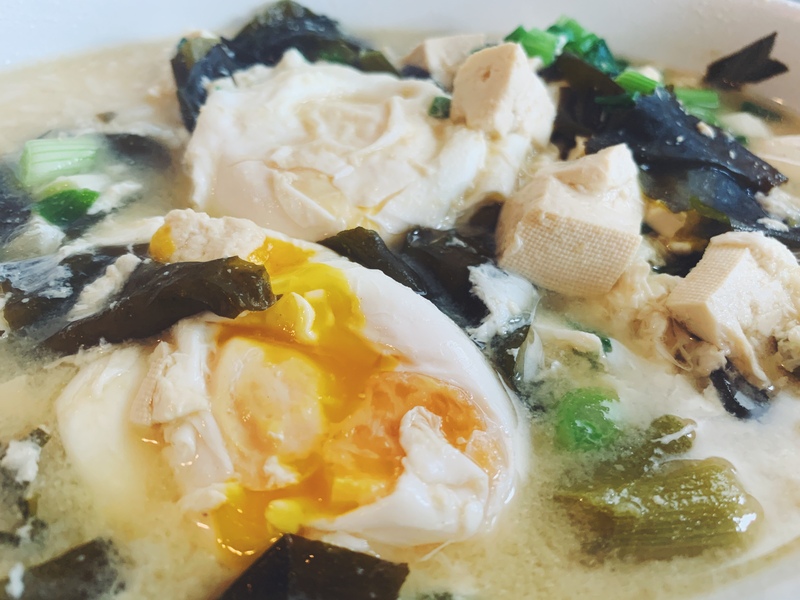 Love, love, love Miso Soup in this home of ours. Disclaimer: Affiliate links provided for your convenience. As an Amazon Associate, I earn from qualifying purchases at no additional cost to you. Thanks for supporting Hopscotch Mom!